September 22, 2016 - Taipei Taiwan - GlacialPower, a division of the LED technology manufacturer GlacialTech Inc, is today pleased to announce the launch of the GP-LD15-40C, a new LED driver suitable for variable voltage LED lights from 30V up to 40V, with a rated output power of 14W. 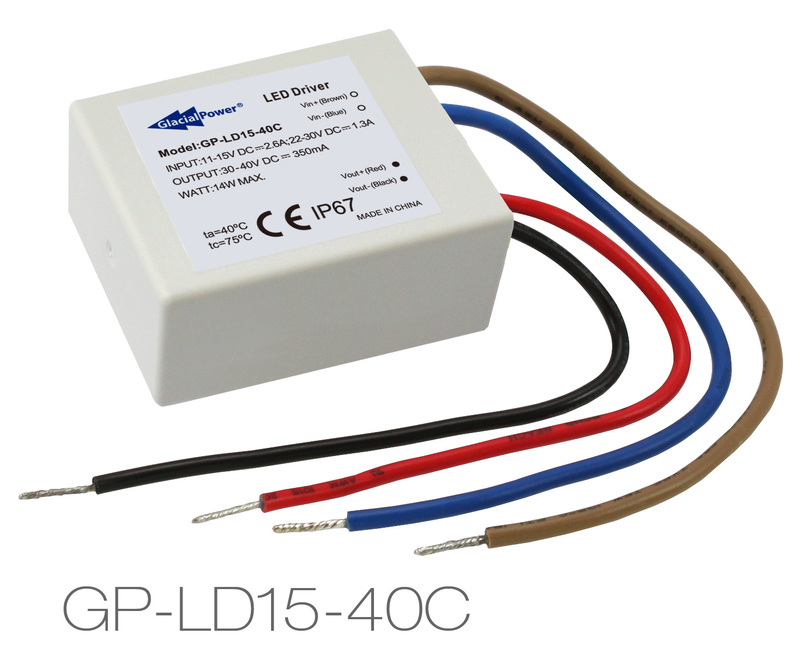 The GP-LD15-40C supports input voltage ranges from 11V to 15VDC, and 22V to 30VDC. This rugged, weatherproof driver offers many built in safety features to protect itself, and connected devices including batteries and LED modules.